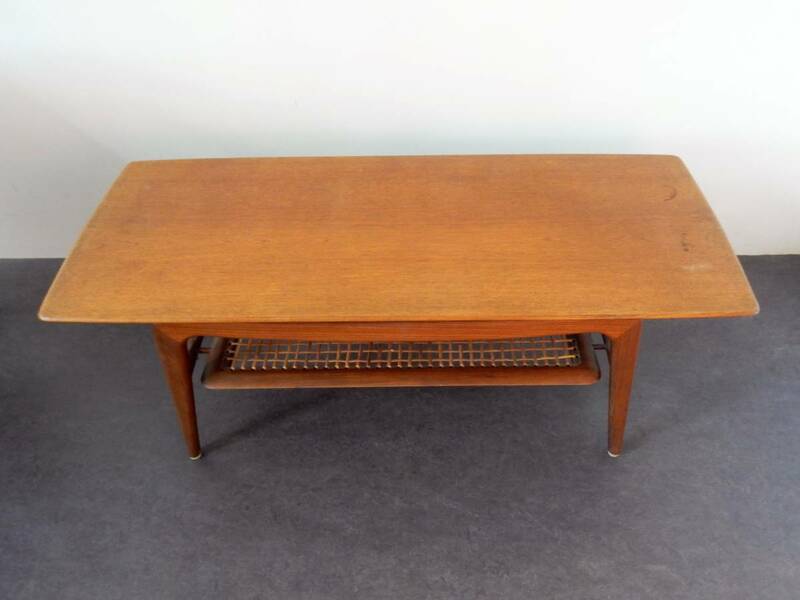 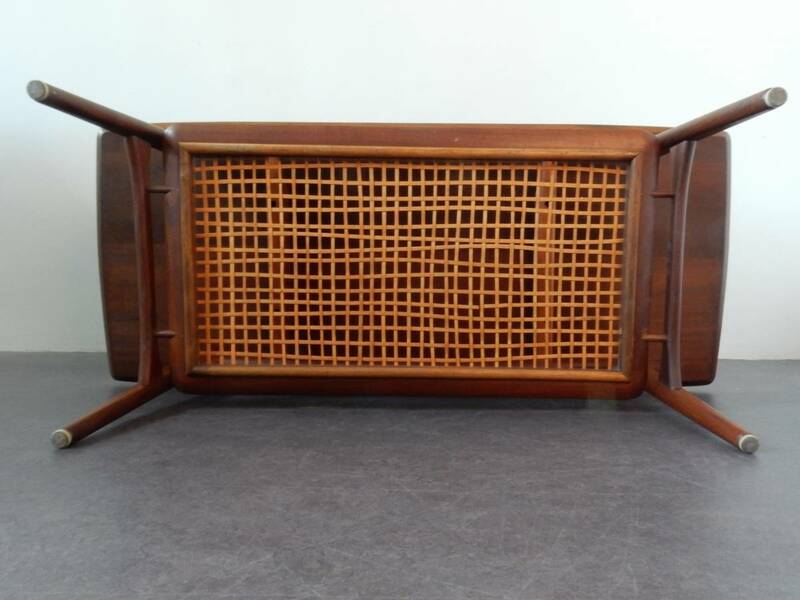 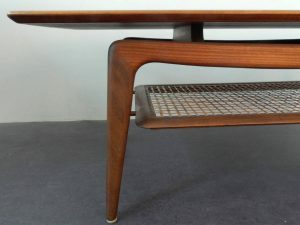 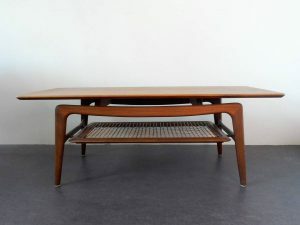 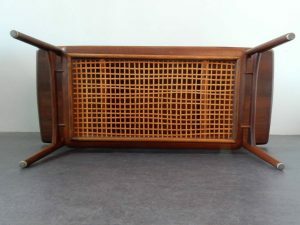 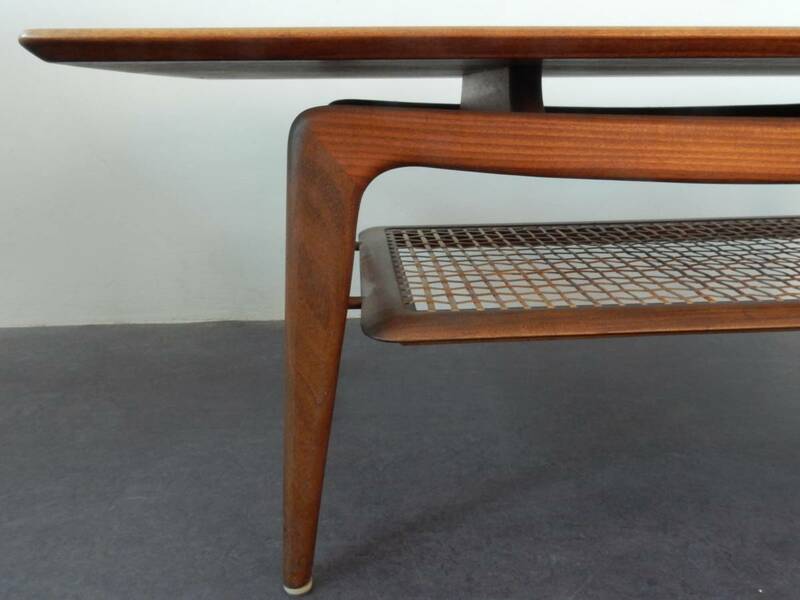 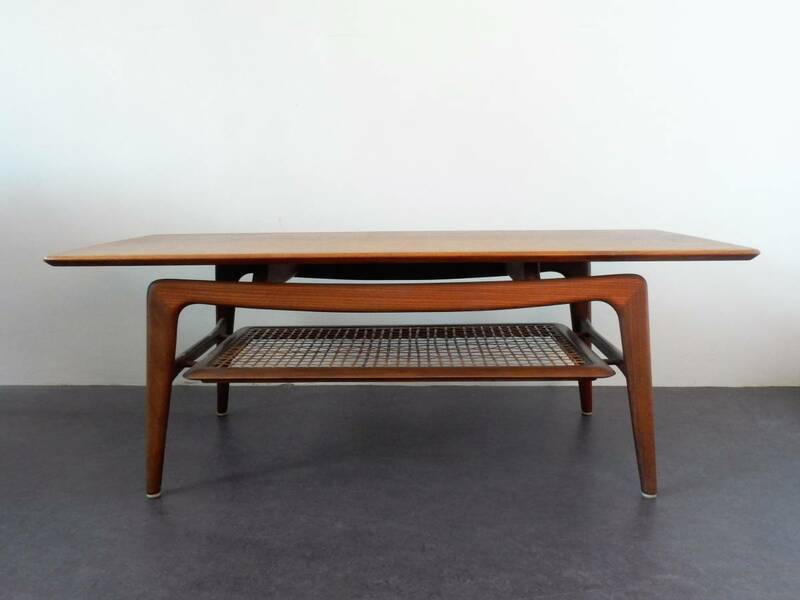 This is a very nice shaped coffee table in the style of Louis van Teeffelen for Wébé. 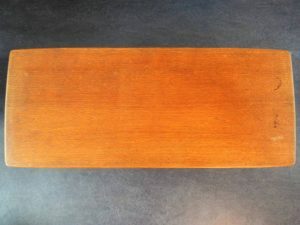 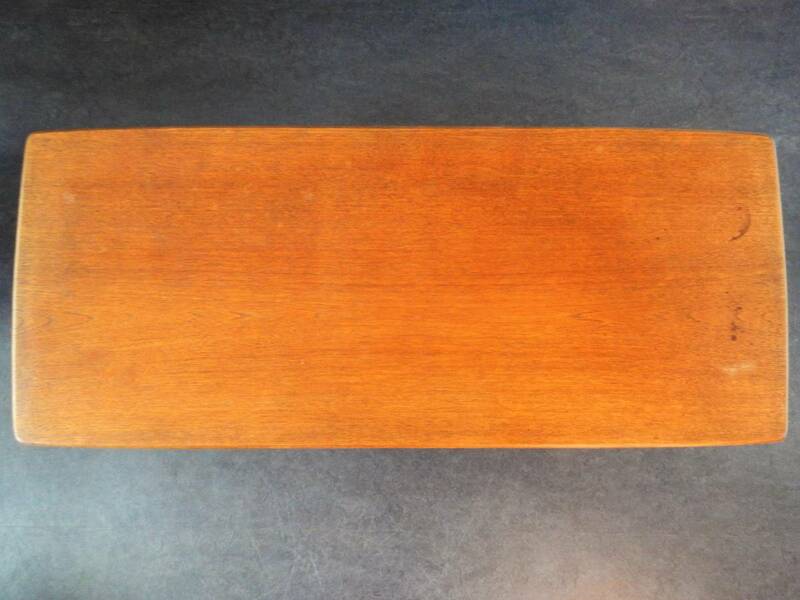 The table is made of teak wood and teak veneer. 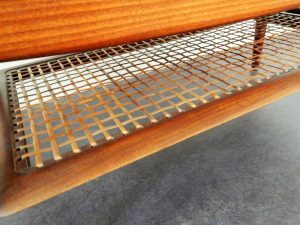 The magazine rack is made of cane and intact. 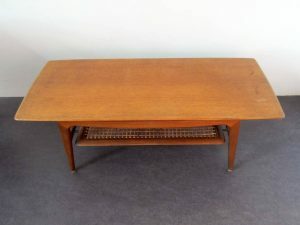 This table is in a good condition with minor signs of age and use.